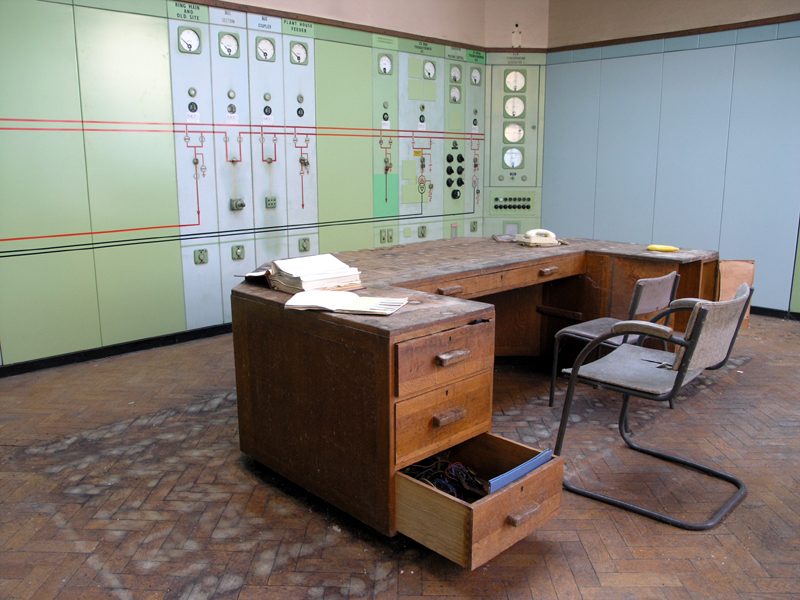 It appears to be fitted with all its original features: the instrumentation, the documentation, the floor and even the desk all appear to be from the early 1950s. Three walls are covered in an octagonal display of dials and controls. The facing desk even has the same shape. The control room looking northwest.